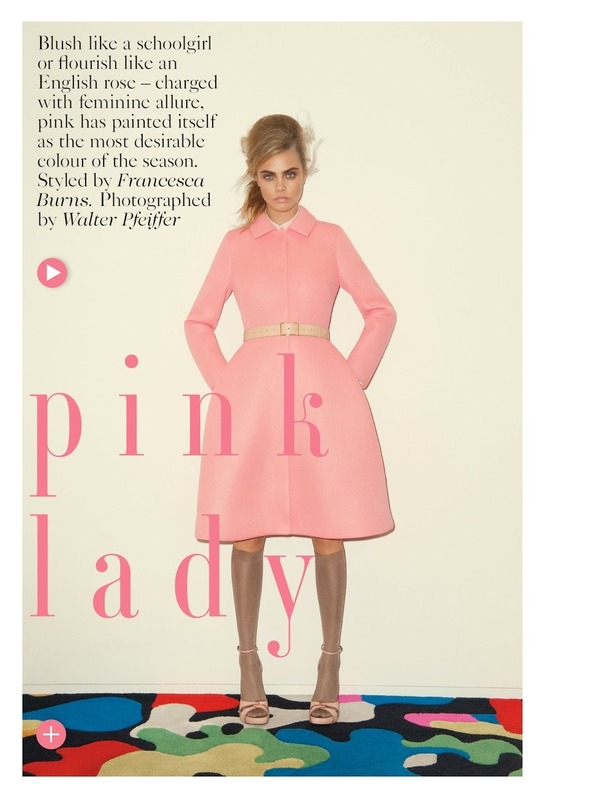 Pink is next season's hot colour guys especially the paler pastel colour vibe that Cara sports in this eye-catching Vogue shoot by Walter Pfeiffer. For me Prada is Autumn's hottest label. Psychedelics provided by Comme des Garcons. Check the volume on that Rochas skirt.